The re-emergence of Ander Herrera under Ole Gunnar Solskjaer has been an underrated factor in Manchester United’s revival, writes Adam Bate. Jose Mourinho had many problems at Manchester United but perhaps he identified one of them too late. He was already into the final month of his reign at Old Trafford when he lamented the lack of 'mad dogs' in his team following a supine display at Southampton. All the more curious then that he had overlooked the presence of Ander Herrera for so long. The Spaniard started each of Mourinho's final four Premier League games at United but the die had been cast by then. He had started only one of the first 11 matches and that was out of position as a defender against Tottenham. Herrera was an unused substitute for the defeat at Brighton and also stayed on the bench for the 3-1 reverse at West Ham soon after. Ole Gunnar Solskjaer explains how he sought to restore Manchester United's identity. 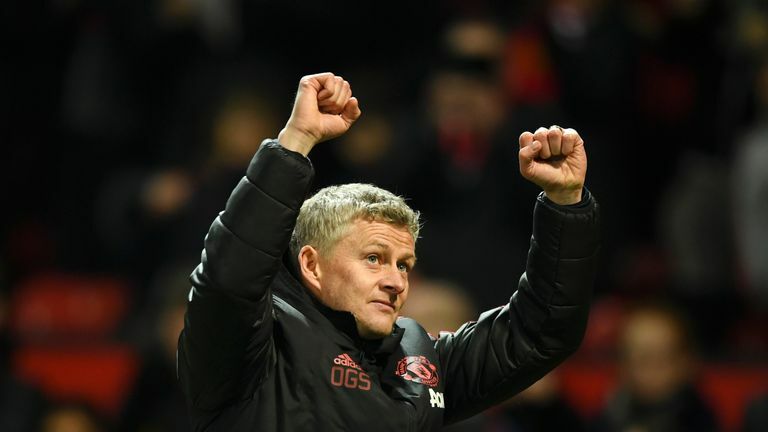 Given the remarkable turnaround in form that Paul Pogba and Marcus Rashford are enjoying under Ole Gunnar Solskjaer, it is understandable that much of the focus has been elsewhere. 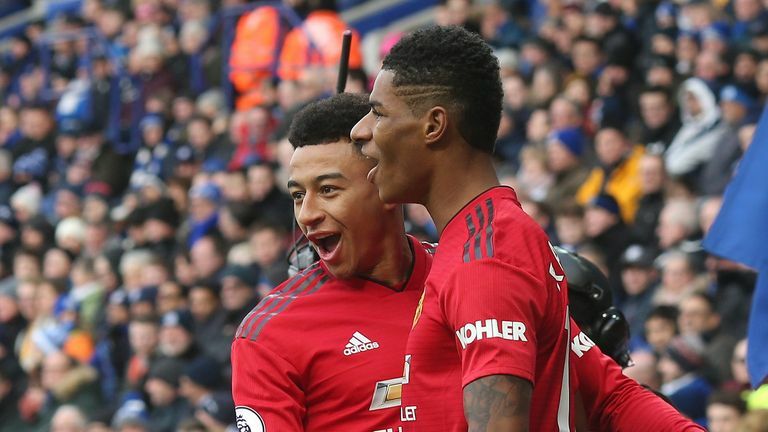 But while the new manager deserves credit for transforming the fortunes of the key players in this United squad, it has also helped that he has picked the right ones. Herrera has already started as many Premier League games this season under Solskjaer as he did under Mourinho. He has been quietly impressive in those games too. Not the headliner but the facilitator, getting around the pitch alongside Nemanja Matic to ensure that Pogba and the rest have had a solid base from which to attack with freedom. Time to bring in Herrera? Pick your Sky Sports Fantasy Football team here. Herrera understands his role, noting after the win at Leicester that those ahead of him "feel free" to attack in this system "because Nemanja and me and the centre backs are all the time controlling the opponent's attack, even when we have the ball". He added: "Ole is very happy with my work, I think, he is giving me a lot of confidence. He knows I can help the team with the ball but also without the ball and to get it back as soon as possible. I think he knows I can work to make all the players feel free." Herrera made the most combined tackles and interceptions of any player on the pitch at the King Power Stadium and that's become his trademark. The 29-year-old is averaging more interceptions per 90 minutes this season than any other midfielder in the Premier League. The result is that the fears over Manchester United's defence that had so coloured Mourinho's mood have been allayed. In fact, United have conceded fewer goals than any other team in the Premier League since Solskjaer took over - and two of those went in while Herrera was off the pitch. The defence is now getting the protection it needed. It was a conundrum for Mourinho and led to him all but abandoning Fred on that basis. But Solskjaer has not found room for the club's biggest summer signing either, instead preferring to go with Herrera, a player he has admired since his days in Bilbao. There is nothing flashy about his work but the blend now is a good one. Herrera has the engine to cover for others. "It's a bit different to Paul and to Nemanja with their physical attributes," Solskjaer explained. "But he runs and he runs, he wins the ball, plays it simple." Indeed, Herrera covered the most ground of any player on the pitch at Leicester - 12.06 kilometres - just as he did in his previous Premier League appearance in the home win over Brighton. That is the energy that was lacking at United during the early part of the season. Interestingly, it re-emerged as a problem when Solskjaer attempted to rotate his squad for the seemingly routine fixture at home to Burnley last time out at Old Trafford. He tried to mix things up by bringing in Andreas Pereira for Herrera but it was the young midfielder's mistake that led to Burnley's first goal. It's the only game that Solskjaer has not won so far. For the United boss it was a clear reminder that while Herrera might not be the most celebrated player in this squad, he has become one of the most important in the recent revival. He might not be the long-term solution but, for now, expect Ander Herrera to remain a feature of this new look Manchester United under Ole Gunnar Solskjaer.